Konstantin Airich won the vacant IBF intercontinental heavyweight championship in front of 1,500 fans at the Mehrzweckhalle Obertraubling Friday night. The “Sandman” made quick work of Varol Vekiloglu knocking out the „Relentless Lion“ in the first minute. In the co-feature of the show televised by Eurosport former cruiserweight contender Alexander Petkovic scored a controversial disqualification win over rugged journey man Cisse Salif. Pektovic who didn’t appear to be in any shape for the fight seemed to control the first couple of rounds but got caught by a powerful straight right in the fourth which sent him to the canvas. Salif seemed a little to cautious in the follow up attacks to actually finish his opponent but knocked Petkovic down a second time in the fourth. In the fifth referee Manfred Kuechler deducted two points from Salif for questionable low-blows. Cisse came back in the sixth knocking down Petkovic a third time before being disqualified for yet another debatable low-blow. On the undercard unbeaten Italian lightweight Massimilano Ballisai added another win to his record by stopping Ravil Mukhamadiarov in the seventh. German heavyweight prospect Boris Estenfelder scored a unanimous decision win over Ladislav Kovarik from the Czech Republic. Local hero Uensal Airk won the GBA international super middleweight title by beating Austrian journey man Thomas Hengstberger. 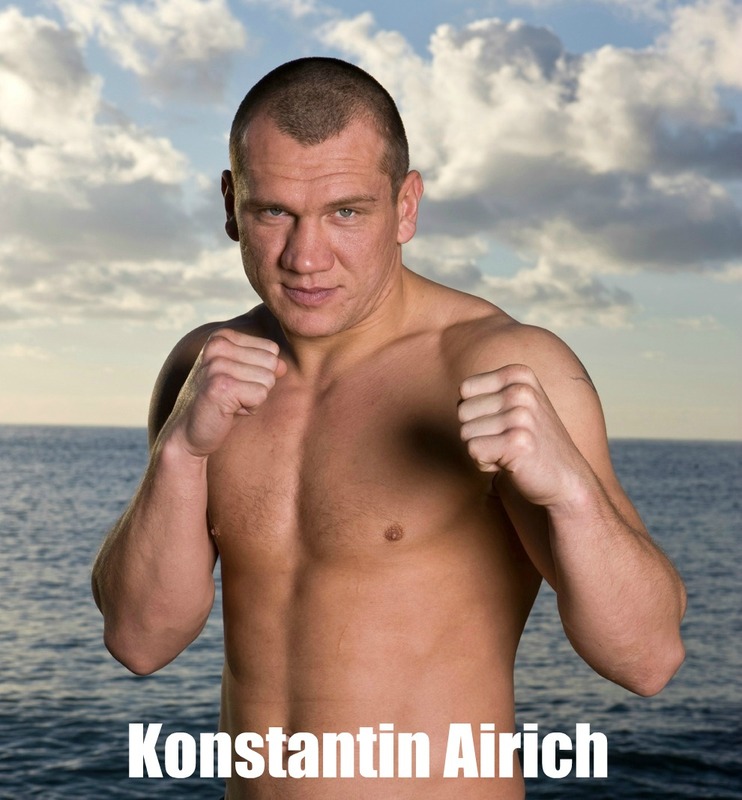 Konstantin Airich won the vacant IBF intercontinental heavyweight championship in front of 1,500 fans at the Mehrzweckhalle Obertraubling,Germany on Friday night. The "Sandman" made quick work of Varol Vekiloglu knocking out the „Relentless Lion“ in the first minute. "I know that Konstantin hits hard but to be honest I didn’t even see the knockout punch", said promoter Ahmet Oner. "However, Konstantin won the title and will have to defend it against tougher opposition now. We are planning to bring back Odlanier Solis this year. I think him and Airich could be an entertaining fight. We will see what happens in the next couple of weeks." "I am very happy and proud to be the new IBF i/c champion", says Airich. "This title means a lot to me. I am ready to defend it against whoever crosses my way." In the co-feature of the show televised by Eurosport former cruiserweight contender Alexander Petkovic scored a controversial disqualification win over rugged journey man Cisse Salif. Pektovic who didn’t appear to be in any shape for the fight seemed to control the first couple of rounds but got caught by a powerful straight right in the fourth which sent him to the canvas. Salif seemed a little too cautious in the follow up attacks to actually finish his opponent but knocked Petkovic down a second time in the fourth. In the fifth referee Manfred Kuechler deducted two points from Salif for questionable low-blows. Cisse came back in the sixth round, knocking down Petkovic a third time before being disqualified for yet another debatable low-blow. "This wasn’t a good fight and it wasn’t a good ending either", said promoter Oner. "Alexander Petkovic cannot be happy with his performance and with this win. Cisse did well and connected with some nice shots. I couldn’t see if some of them were too low or not. The referee decided this way and we have to live with it. Although there is a bad taste to it."